← The Hour is Coming: He Has Risen! Last year I decided to run a 1/2 marathon, and soon found out that I bit off more than I could chew. Starting a running program in my early 40’s seemed doable. I mean there were people older than myself doing this and more. My problem is that mentally I feel like am in my 20’s, but my body reminds me of the reality. I tried to run too much too quickly, and injured myself. I hobbled around in pain for the few weeks, got discouraged, and quit. Earlier this year my church cancelled service and went up the street to cheer on people running the Austin Livestrong Marathon. As I watched these runners come by I felt motivated again to try training for the 1/2 marathon again. At the encouragement of a friend I began training again. This time I found a program and phone app called Couch25K. The program is designed to literally take a couch potato and help them build up to run a 5K in 9 weeks by having you running and walking 3 times a week for about 20 minutes each time. This app starts you off slowly, and gives you voice prompts for you to alternate walking and running. It also syncs with your GPS, and keeps track of stats of your runs. You can also upgrade to train for longer runs up to a 1/2 marathon. This was a game changer for me! 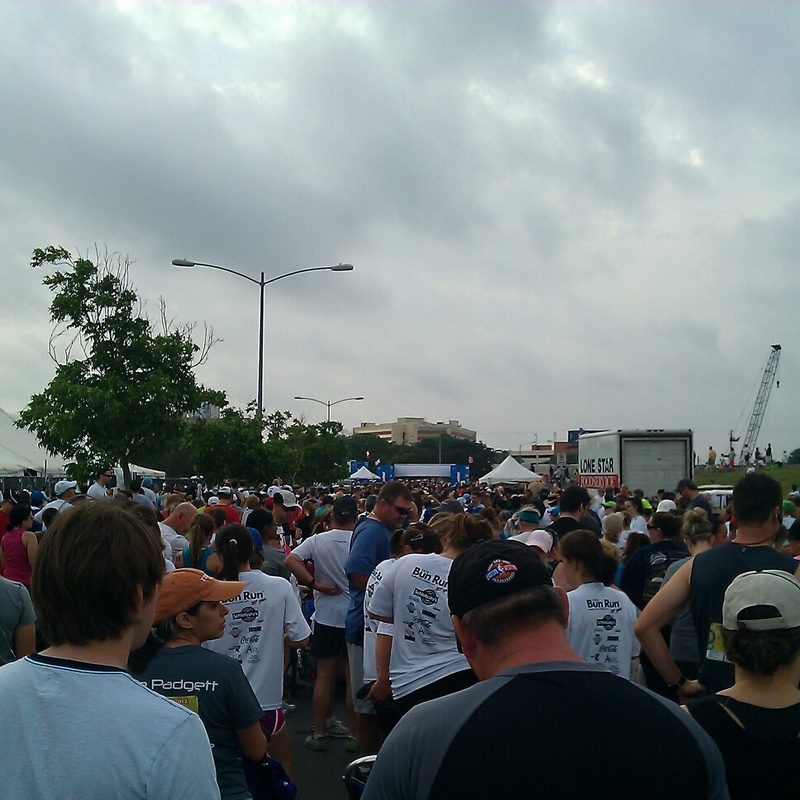 I was only able to train for about 5 weeks before I took on my 1st 5K, the Schlotzsky’s Bun Run. I set 2 goals for myself, and that was 1) to finish & 2) to run it non-stop. Thankfully, with the help and encouragement of a friends and a running partner during the race I was able accomplish both! I have never in my life been able to run 3.1 miles without stopping. It was exciting, and motivating to know I could do it. I am making progress! I highly recommend the app, and I also recommend getting fitted with some good running shoes. While training I realized what I had just did not work. Based on a couple of recommendations I went to Luke’s Locker, and got fitted with a pair of Asic Gel Cumulus running shoes. They did a great job of fitting me, testing on the treadmill, and helping me choose the best shoe. I paid about $110 but they are absolutely worth the investment. It was exciting to accomplish this, and look forward to continuing my training. After all I still have a 1/2 Marathon to run! I am scheduled to run the Rock n Roll 1/2 Marathon this November in San Antonio. Let’s do this! 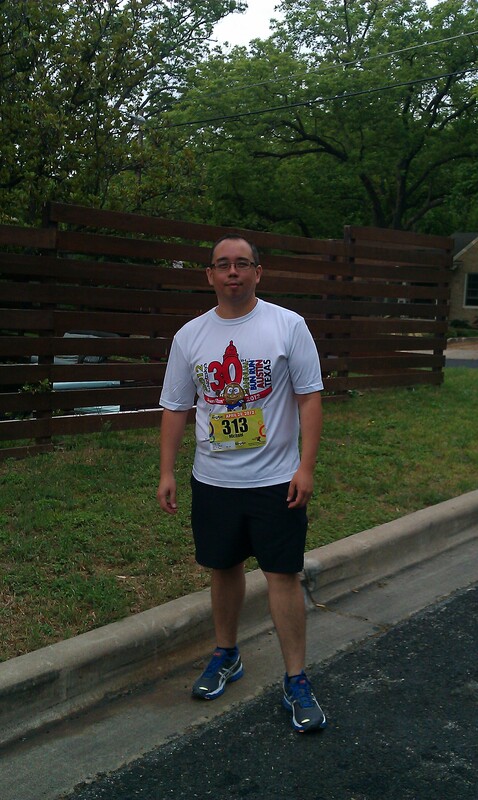 This entry was tagged 1st 5K, Bun Run, running, running a 5k, training for a 5k. Bookmark the permalink.